The Habsburg Monarchy had never been a maritime power to be taken seriously – despite its Adriatic ports, its rule in the Southern Netherlands and two decades of control over Naples and Sicily. For centuries, the Venetians had successfully prevented any Austrian shipping in the Adriatic, and the Maritime Powers in their turn now made sure that the Austrian Netherlands would not endanger their supremacy at sea. Until the acquisition of Venice in 1797 Austria effectively remained a landlocked power, lacking a real navy or merchant fleet. 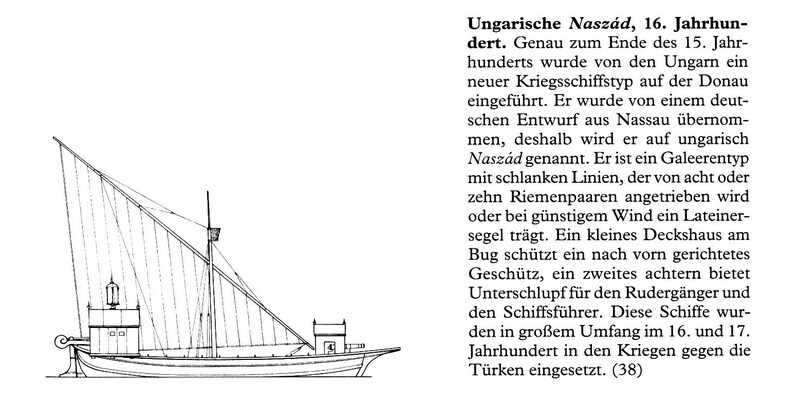 During the Turkish wars the Habsburgs, however, adopted the Hungarian tradition of a respectable Danube flotilla made up of fast and lightly armed rowing boats with auxiliary sails called Nassaden (from the Hungarian word for ‘boat’) or Tschaiken (reflecting the Turkish term for ‘river’). As early as the fifteenth century Vienna had had a naval arsenal, but in 1529 the first Danube flotilla had to be scuttled when the Turks advanced to besiege the city for the first time. During the 1680s plans were considered for a small Imperial fleet operating jointly with ships of other Christian states against the Turks in the Adriatic. Yet the Danube continued to be the most likely focus of Habsburg maritime activities. The early 1690s saw the creation of a superficially impressive flotilla containing even relatively large ‘battleships’. The initiative did not at first have a happy outcome. Officers and sailors were recruited in Holland, foreign adventurers took command … all at horrendous expense. It became even more painful when, in 1696, three ships had to be blown up near the confluence of the Danube and the Tisza to prevent them from falling into Turkish hands. The battleships of the second generation built in the late 1690s were much smaller and had fewer guns. At the same time, the traditional Tschaiken continued to be used as well; much more easily manoeuvrable, they were now built slightly bigger and more strongly armed, which made them more expensive. In 1701, there were still 14 large ships, 2 frigates, 2 brigantines and 35 Tschaiken, but the fleet had been sorely neglected after the peace of Karlowitz, ships even being broken up to recover timber. 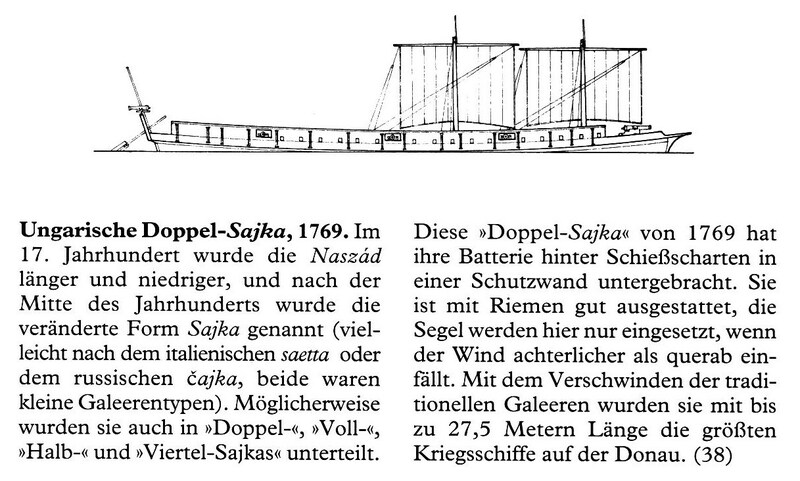 For the Turkish War of 1716–18 both new battleships – whose sailors were this time recruited in north Germany – and Tschaiken had to be built and equipped anew. This took time, and only a few of them were actually used, chiefly to cover land operations such as the celebrated Danube crossing near Belgrade in 1717. After the peace treaty the warships were broken up … and sold as firewood. The acquisition of Naples (1714) and Sicily (1720) eventually necessitated a permanent fleet to maintain communications with the new Mediterranean territories. Otherwise Vienna would constantly have to rely on the goodwill of the Maritime Powers, particularly the British. When the Spanish had abandoned Naples in 1707, they had taken their ships with them. It was high time for the creation of a small Habsburg-Neapolitan navy, a project well in keeping with Charles VI’s dream of a strong potenza marittima. In the late 1720s a winter harbour was set up in Baia while, on the Austrian Adriatic coast opposite, Trieste and particularly Porto Rè (Kraljevica) were turned into naval arsenals and shipyards. Yet this initiative was not sustained: after the loss of the south Italian possessions in 1734 interest and activities naturally petered out. In 1733–34 four ships of the line and four galleys were at Charles VI’s disposal. Supreme command was exercised by the Genoese aristocrat Count Gian Luca Pallavicini (1697–1773), later Austrian governor-general in Milan. When the Spanish fleet arrived off Naples in April 1734, the galleys managed to break through and escape to Trieste to join what was left of the Neapolitan navy, only to rot gradually or be sold off to Venice. At all events, the Neapolitan fleet had managed little more than convoying troop transports across the Adriatic. Now as before, it was impossible to defend southern Italy without the support of the Maritime Powers, while even Austria’s Adriatic coastline was attacked and bombarded during the Polish Succession conflict. Needless to say, among the nobilities of the Monarchy service in the navy had less tradition than even joining the army; the idea of bringing Austrian noblemen to serve as naval officers by having them trained in sea warfare by the Knights of Malta, as was common practice among French nobles, never got of the drawing board. In 1736 the Neapolitan regiment of Marines was disbanded, the remaining personnel and material being used to establish a new Danube flotilla for the Turkish War with British and Dutch naval officers. Yet its fate was as disastrous as that of the Emperor’s land forces. In the first campaign two battleships had to be scuttled to avoid capture, while in August 1739, three further ships which the Turks had caught up with while advancing on Belgrade had to be blown up by their crews at the confluence of the Danube and the Temeş. After the Turkish War the remaining Neapolitan officers and sailors were dismissed, and only a small gunboat flotilla survived with bases at Raab, Komorn and Gran. It was to prove itself in the War of the Austrian Succession, particularly in the Bavarian theatre of operations. Beginning in 1764 a contiguous zone along the Danube in the Banat was ‘militarized’. It was to be settled by Serbs who had moved there from the dissolved Tisza-Máros Border, but also by veteran soldiers unfit for regular service. Together with a unit of Rumanian settlers established in 1769, the Serbian colonists formed the Illyrian Banat Border Regiment (raised in 1775), which covered the eastern Banat (with headquarters at Weisskirchen); the German Banat Regiment, on the other hand, consisted of ‘German’ invalids and colonists and stood guard along the western Danube border with headquarters at Pancsova. The official strength of the Banat Border amounted to some 7,700 men. Efforts to establish a military border in Transylvania in 1764–66 met with great difficulties. It was planned to include only two groups of the country’s population: the Széklers in the south-east and the predominantly Orthodox Rumanians in the south and north-east. After open rebellion in 1764, the Széklers, though originally a warrior nation, had to be forcibly included in the border organization. By contrast, the Rumanians hoped that ‘militarization’ would improve their critical situation and proved more cooperative. Unsurprisingly, a territorially compact border could not be artificially created in a comparatively densely populated area. Still the Transylvanian Border mustered a combined paper strength of more than 14,000 men. Small river naval units had been part of the old Hungarian national militia (pp. 87–8) dissolved in the 1740s. Traditionally based in the north-west of Hungary, they were fundamentally unsuitable for guarding the Turkish border, by then much further south. After several futile attempts a battalion of military boatmen (Tschaikistenbataillon) was finally set up in 1763–64 in the Danube-Tisza area with Titel as its headquarters. 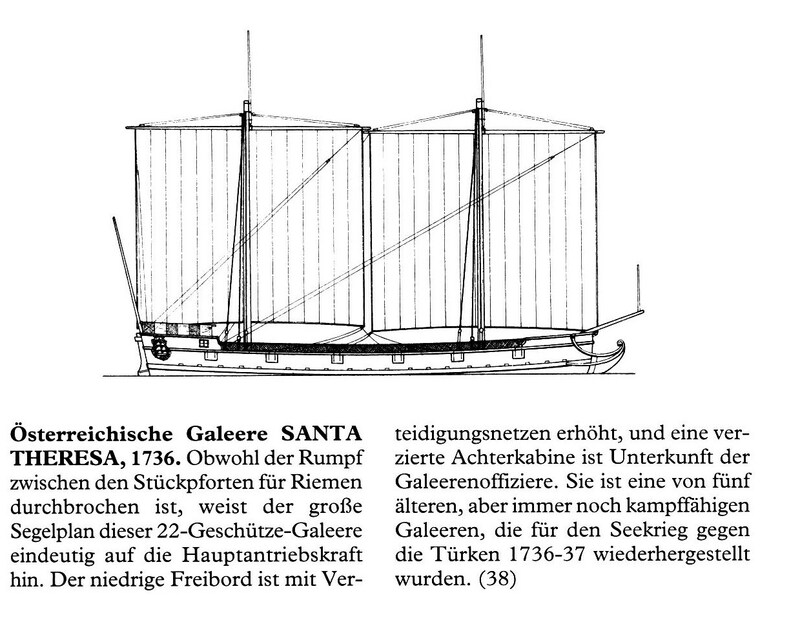 These boatmen, too, were military peasants, who received land instead of pay and used the traditional boats or Tschaiken as gunboats (hence the name). The batallion first went into action during the War of the Bavarian Succession (1778–79), when it had to support the regular army’s pioneers and pontooneers in Moravia and Bohemia. 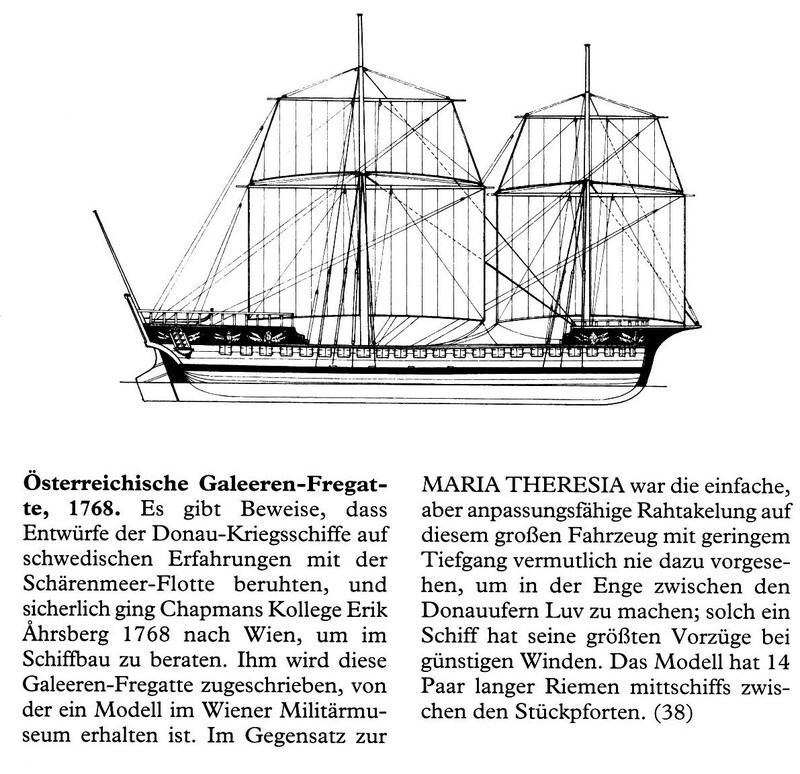 For the Turkish War of 1788–90 the Danube flotilla was considerably reinforced by four larger sloops and an older frigate. 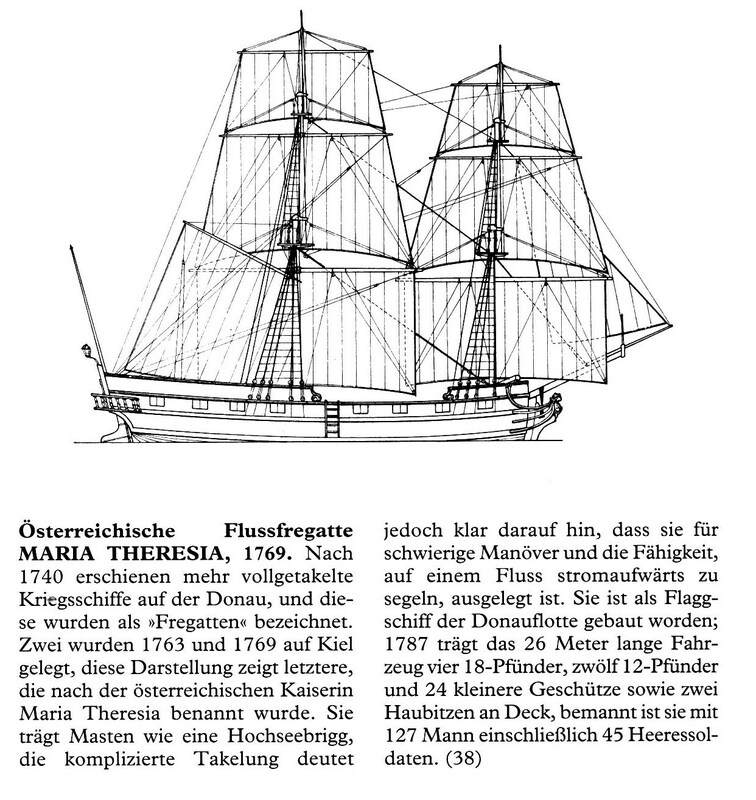 This entry was posted in Austria, Naval History by MSW. Bookmark the permalink.